The Stone Roses' touring company is set to dissolve this month - adding to speculation the band have split. Documents available for the public to view on Companies House show that Second Touring Limited, which was activated in 2015, is to be struck off with a First Gazette Notice set for issue on December 24, if no immediate action is made by the band. 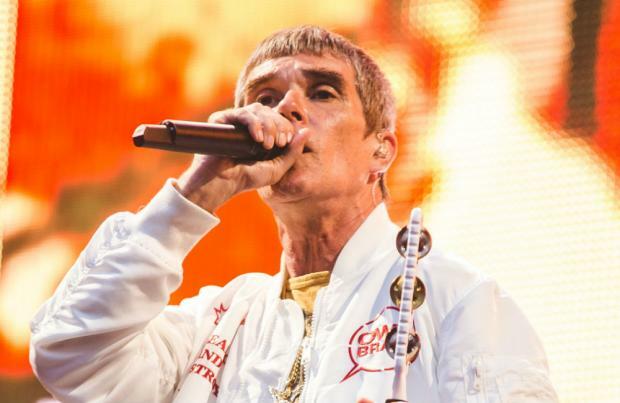 It follows the iconic Manchester group's frontman Ian Brown hinting at their demise. The 'I Am the Resurrection' singer sparked concern among fans that they have gone their separate ways once more following the end of their current run of UK tour dates. At the end of their gig in Glasgow's Hampden Park on June 24, the singer told the crowd: "Don't be sad it's over, be happy that it happened." There hasn't yet been any official announcement about the future of the group, who have released two singles, 'All For One' and 'Beautiful Thing' since getting back together. However, despite being released over a year ago, the band - which is completed by John Squire, Gary 'Mani' Mounfield and Alan 'Reni' Wren - have still not played 'Beautiful Thing' live. He previously said: "I am very excited, for them mainly. They're going to play some new songs (live). I bumped into Ian in a supermarket recently. He was buying chocolate flavoured shower gel. This is not a joke. He leant in and said, 'Have you tried this?' And I said of course I hadn't. He swears by it, says it's amazing. And before it turned into a photo shoot with everyone and their camera phones, he was telling me how excited they are by it all. He said it was like they were making their first record again."